Despite all the news articles about millennials and their home buying habits (or lack thereof), Baby Boomers are still driving the home building and remodeling market — they’re just doing it in different ways. Every Boomer is now over the age of 50, and the oldest members of this group is 72 years old. That means that Baby Boomers are planning for retirement and figuring out where to spend the final act of their lives. For many, aging in place is a major goal for the golden years. This generation has always been independent, and they’ve benefited from medical advances that have increased life spans and made it possible to stay alert, active and on the go for decades longer than their grandparents ever expected to. Why plan or pay for a nursing home when you can just make your house work for you? As the number of retired Baby Boomers continues to rise in the coming months and years, the demand for homes and remodeling that makes aging in place easy and convenient will skyrocket as well. It actually doesn’t take much to turn a house into an appropriate home for older people. The principles of Universal Design outline a series of modifications that are fast becoming the new standard for construction. These ideas are designed to make buildings more accessible for all users, but the same things that help a disabled person navigate a bathroom will also help an elderly user take a safe shower on a daily basis. These projects aren’t necessarily difficult, and savvy contractors should consider educating clients about Universal Design and providing an aging in place checklist for Boomers to use to plan their living space for the future. 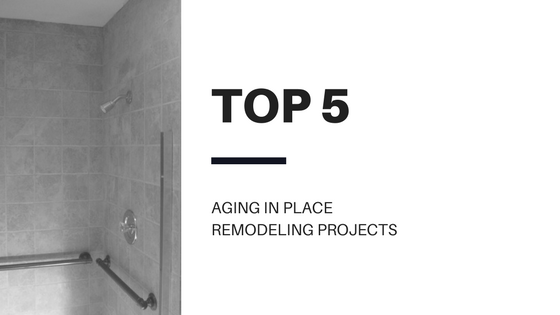 Creating packages of services to include the most common remodeling required for aging in place can also make projects more attractive for clients — think of it as a one-stop shop for retiring in the home you already love. If you’re interested in focusing your services on aging in place to snag a piece of this growing market, consider getting certified. The National Association of Home Builders (NAHB) offers a Certified Aging-in-Place Specialist designation — otherwise known as CAPS — and a curriculum that includes building design, marketing and business practices to help you make the most of this aspect of your contracting business. In addition to providing valuable information, the certification also lets customers know you’re at the top of your field in this relatively new area. They also offer continuing education to maintain the certification and keep you up to date on what’s new in aging in place remodeling practices. No one has figured out how to turn back the clock, so Baby Boomers — and the Gen X-ers behind them — will only get older. That means that an ever-increasing number of people will be looking for smart construction that supports their needs for many decades. 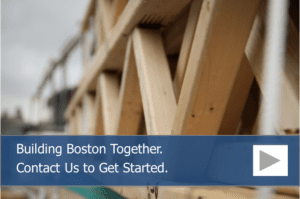 It just makes sense to be ready to provide the right know-how to get the job done in this growing field of construction.